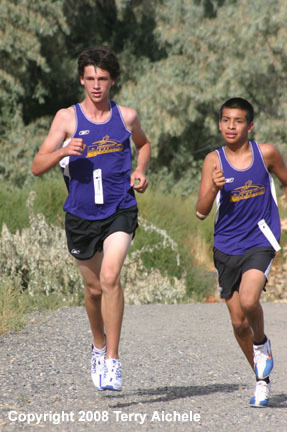 HERMISTON-Hermiston swept the top seven spots in the Hermiston Invitational Cross Country JV boys meet on Friday. A runner from Kiona Benton tied in seventh place. 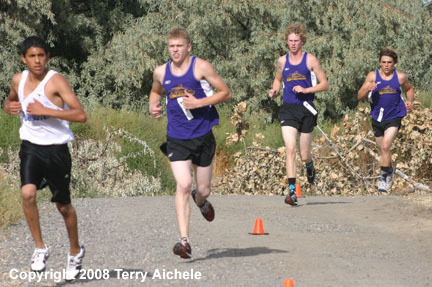 LEFT - Two Hermiston JV runners on the course at Sandstone. RIGHT - A group of runners make their way down hill after making the loop around the Field of Dreams baseball complex. 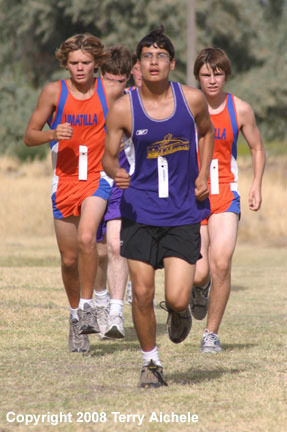 LEFT - A group of runners from Hermiston and Umatilla on their way to the grove of trees on the course at Sandstone. 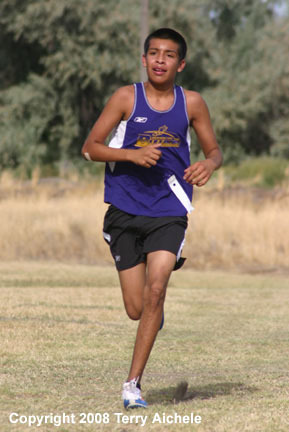 RIGHT - A Hermiston runner on his way to the grove. 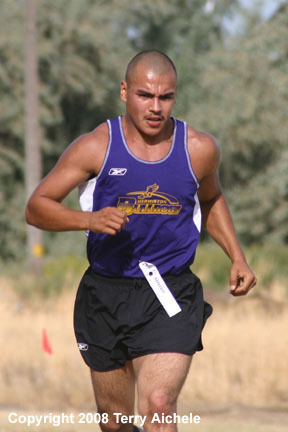 LEFT - Juan Delgado nears the grove after making the loop around the Field of Dreams. 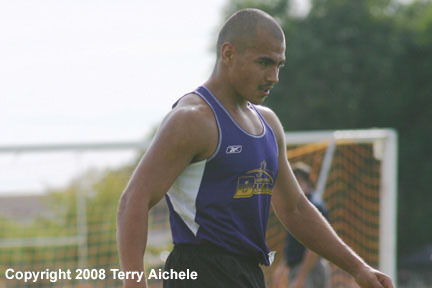 RIGHT - Juan Delgado after the finish of the race.